Like every other 1988 Toyota Celica GT convertible sold in the United States, this one started out life as a steel-topped coupe, and was shipped to ASC Inc., a California-based company which was founded in 1965 as American Sunroof Company, an outfit which basically cut holes in the roofs of cars and filled them with sunroofs. 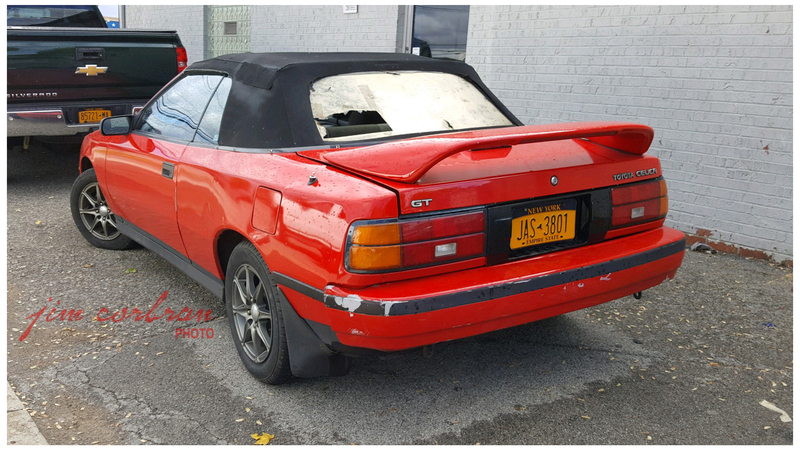 In the mid-1980s they took on the convertible market, at first supplying convertible roofs for Corvettes, before branching out into the conversion business. 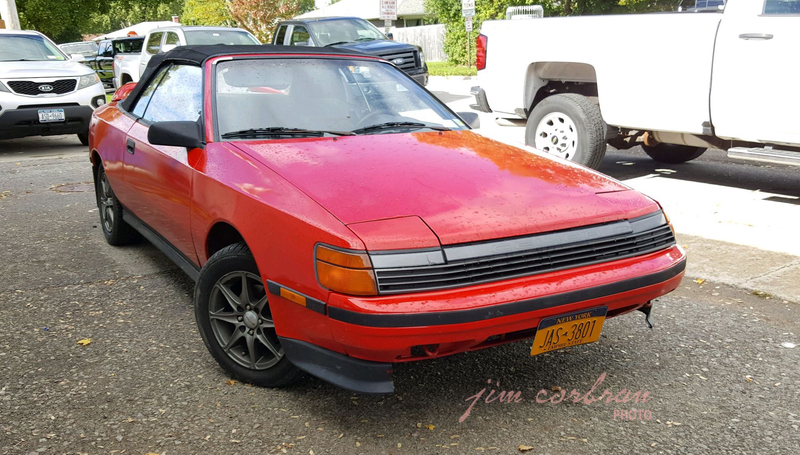 The Celica convertible was available only in the higher-priced GT model. In a televised road test of the new convertible, Motorweek ’88 wasn’t too impressed by the fact that you had to crawl into the back seat and manually unzip and store the plastic rear window before lowering the top. But overall they liked the car. Watch the episode here. Saw this red example last week in Tonawanda.